Sugar Mountain Remains open through the weekend - last channce to ski for the 2013-14 Season. March Madness Rates Apply. Sunday, March 30th will close out a wonderful winter season at Sugar Mountain (Ski) Resort. BOSS Hawg plays live from 3 - 5 PM, deck food will be grilling, beverages will be flowing and the ceremonial burning of the snow will occur just after 4 PM. 2015 Spyder Sample Sale continues only at Sugar Mountain Sports now until Sunday. Stop by before the shop closes. Ice Skating and the Tubing Park are closed for the remainder of the ski season. Get a link for last minute skiing reports on the NC Ski Resort Guide. March 28, 2014 - With a forecast for 3" of rain and potentially severe weather for the next two days, Cataloochee Ski Area has closed for the 2013-14 season at the end of the skiing day on March 27. After 132 days of skiing and riding since opening November 14, they closed out a great season on top to bottom terrain with 14 out of 17 trails open on a 32-66" base under bluebird skies Thursday. Ashe, Avery, Carter, Johnson, Mitchell and Watauga county schools. Appalachian Ski Mountain is Closed for the 2013-14 season. .
Beech Mountain Ski Resort is Closed for the 2013-14 season. Sapphire Valley Ski Area - Closed for the 2013-14 season. Wolf Ridge Ski Resort - Closed for the 2013-14 season. March 22 - 23 Enjoy one last weekend of skiing, boarding and tubing events at Appalachian Ski Mountain and Beech Mountain Ski Resort. Appalachian will be hosting their annual Meltdown Games along with skiing and boarding on all 12 slopes and parks with 6 lifts and a base of 16 -44 inches. Ice Skating is open from noon to 9 PM. DOn't miss the Neff beach Bash on Sunday. Beech Mountain will be open from 9 AM to 5 PM. The resort will close for the season at 5 PM on March 22, 2014. Andrew Cook, a local favorite, will play a variety of songs in the View Haus from 1:30 PM to 4:30 PM. Get links for ASM and Beech Mountain Resort on the NC Ski Resort Guide. March 21 St Patrick's Day Park Jam This year, the Alpine Ski Shop will collaborate with the High Fives foundation and Nighttrain Clothing to bring you a better St. Patrick’s day Park Jam than ever and support a great cause. Bring your green hat. This will be the second season of the Park Jam, which was conceptualized by the Alpine Ski Shop, who will be providing some terrific prizes for standouts thanks to Line, Saga, Anon, Burton, Roxy, Giro, and Nighttrain. Also, save an additional 10% off with this coupon! With recent cold temperatures and natural snow, slopes conditions are at their best for the last days of the 2013-14 ski season. Appalachian Ski Mountain is OPEN - 12 slopes with 6 lifts on a base of 32 - 64 inches. Beech Mountain Ski Resort is OPEN for skiing and boarding on 12 slopes with 4 lifts on a base of 28 - 78 inches. Day skiing only. Cataloochee Ski Area is OPEN - 15 slopes with 3 lifts on a base of 40 - 70 inches for day skiing. Sugar Mountain Ski Resort is OPEN - 15 slopes with 5 lifts on a base of 26 - 76 inches for day skiing and boarding. Ice Skating is open. Tubing is open on 4 lanes. March 10 - Cataloochee Ski Area now has 10 features in both the Upper and Lower Terrain Parks. The late season operating schedule begins Monday, March 10 with day skiing only from 9 AM - 4:30 PM, Monday through Friday and 8:30 AM - 4:30 PM on Saturdays and Sundays. Seasonal rentals are available for order now. It's a great way to outfit growing kids each winter. Click here for pricing and information on both seasonal rentals and season passes. 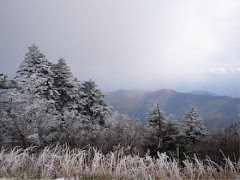 Get a link for Cataloochee Ski Area and other NC Ski Slopes still open on the NC Ski Resorts Guide. Appalachian Ski Mountain is OPEN - 12 slopes with 6 lifts on a base of 38 - 80 inches. Beech Mountain Ski Resort is OPEN for skiing and boarding on 13 slopes with 2 lifts on a base of 34 - 86 inches. Cataloochee Ski Area is OPEN - 15 slopes with 5 lifts on a base of 46 - 76 inches for day skiing.